Here we have another patio just completed by Active Paving in Malahide, Dublin. 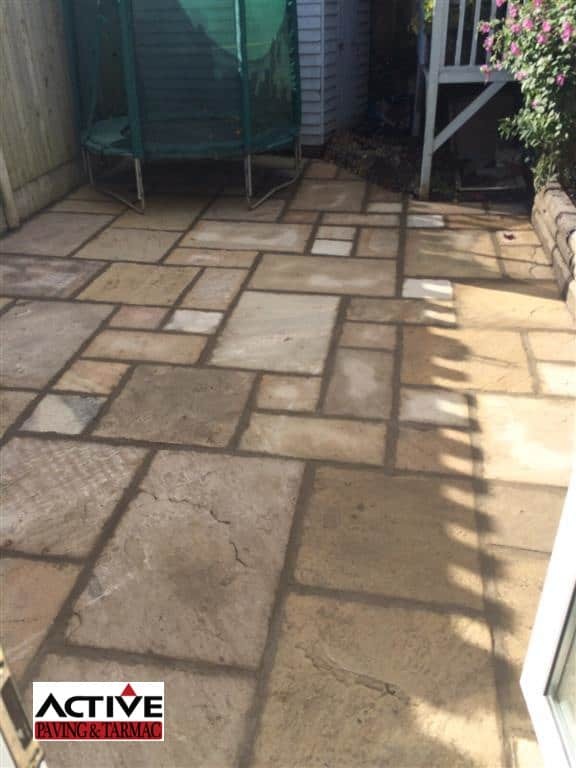 The patio is done using an indian sandstone style slab which was laid on a wet concrete mix. 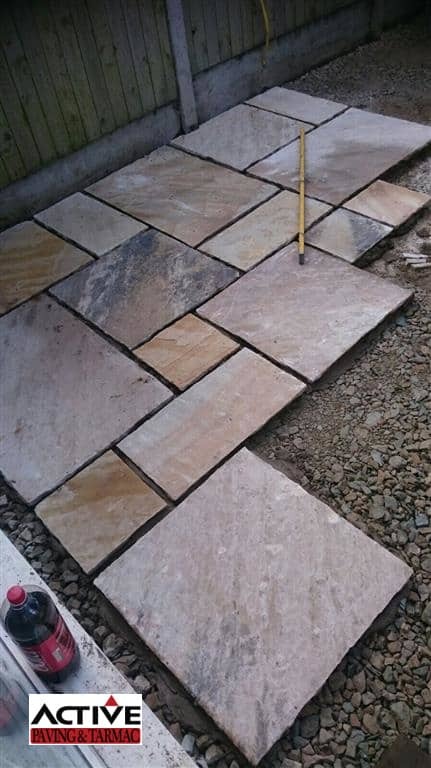 The patio was done using only the finest material on the market. 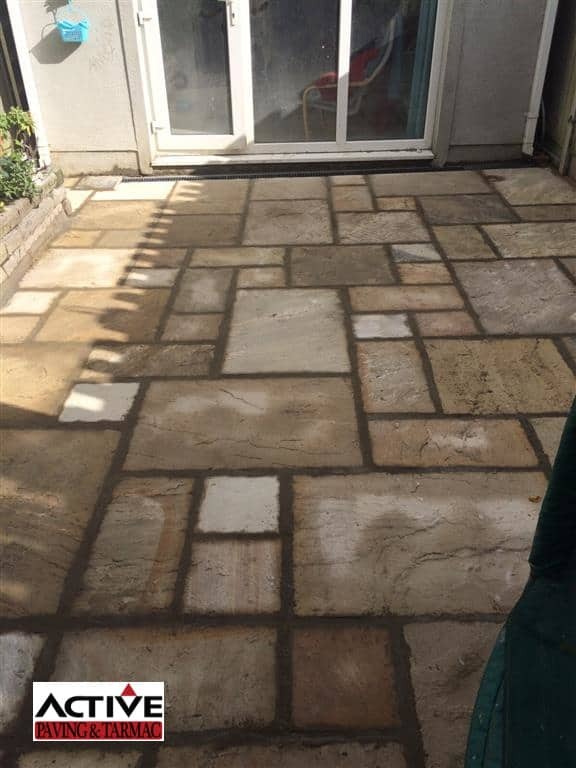 We installed a complete new base after removing the existing patio area which was made up of old concrete path and a worn out lawn area. Once the new base was installed and compacted down. We made sure it was set at the correct water drainage levels. We installed our new patio directly onto this strong base using wet concrete reinforced with a frost proof mix. When the patio was completely laid, we done our jointing using a flexible joint to ensure no cracking would occur.